What Are Red Light Therapy Lamps? Red light therapy lamps provide an all-natural way to heal your body utilizing scattered photons of light! The graph here illustrates, as we age, we produce less collagen which results in the appearance of fine lines and wrinkles due to thin, dry skin. 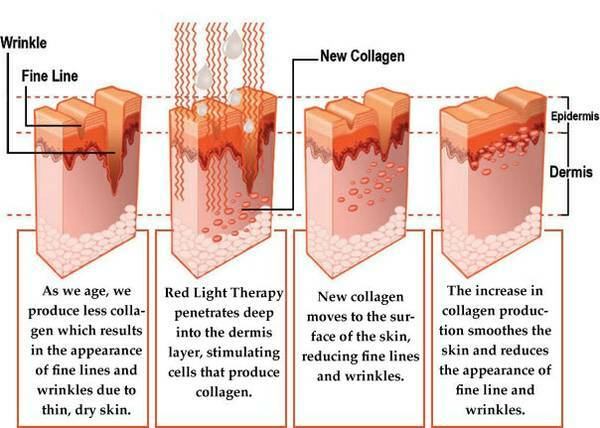 Red light therapy penetrates deep in the dermis layer, stimulating cells that produce collagen. New collagen moves to the surface of the skin, reducing fine lines and wrinkles. This increase in collagen production smooth's the skin and reduces the appearance of fine lines and wrinkles. You can now create your own red light therapy "machine" with any old used indoor tanning bed, canopy or booth and install red light therapy lamps for about $20 each with free shipping and insurance included (scroll below to order now). Keep in mind, these red lights do not tan or emit any UV light and usually last 3 times longer than UV lights, or about 3000 hours. The ideal red light therapy bed is a 24 to 32 lamp model with a 20 minute timer and NO high pressure facials. You can utilize any old used tanning bed to convert to a full-body red light therapy treatment device by using the same replacement lamp type as the UV bulbs called for on the label of the bed or manual. Scroll below to order now if your know your size, if not, click here to learn how to determine your replacement type. Scroll below further to read more about the all-natural health benefits of photo light therapy. The all-inclusive pricing found on our website located here: www.redlighttherapylamps.com/tanning-beds.html includes free shipping, free gifts, insurance and 1 year warranty. These red light therapy bulbs are rated to last 3000 hours (3x longer than tanning) and emit red light in the 630 nm to 680 nm range. Guaranteed to fit any indoor UV tanning device. There are many scientifically proven benefits of red light therapy, and they include: increased blood circulation; stimulates fibroblast cells which create collagen and elastin which reduces fine lines and wrinkles around the eyes and mouth; helps to repair damaged skin due to scars and surgery; improves skin tone and moisturizes; creates smooth skin which helps maintain a healthy glow to your skin at all times. We recommend a red light treatment schedule of 3 to 4 days per week for 4 to 6 weeks before clients may see visible results. After the 4 to 6 week period, a maintenance schedule of 1 or 2 times per week is recommended. 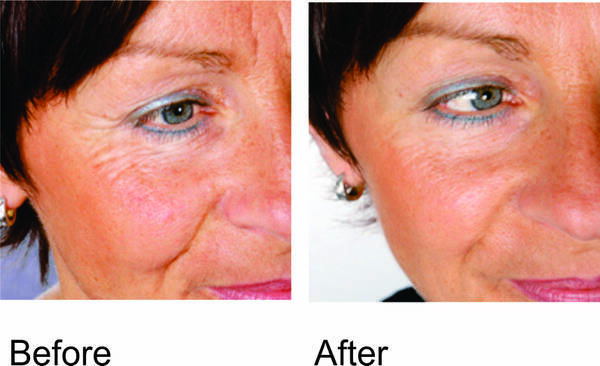 Read about photo light therapy case studies here. Red light therapy lamps are white when off and glow pink when energized. When they arrive they will look like your tanning lamps, but they do NOT emit any UV rays and last up to 3 times longer than UV bulbs (3000 hours). To speak or chat with a live person, call 800-667-9189 . Review our returns policy here, or email us with more questions and concerns.